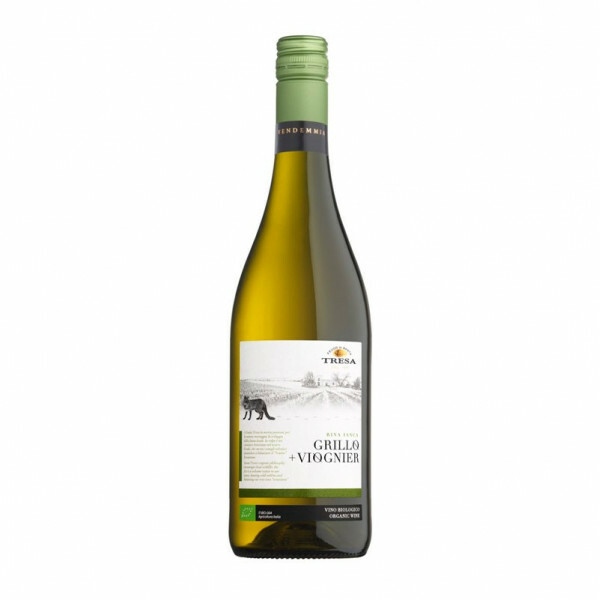 Crisp, elegant and refreshing, Tropical fruit and vanilla aromas with a perfect balance of fruits and citrus acidity on the palate. A perfect blend of two delicious white grapes - Grillo and Viognier - Rina Ianca is a true expression of Sicily. Rina Ianca means "white sand" in Sicilian dialect, reminiscent both of Sicily's stunning coastline and the light, sandy soil found in the vineyard where we grow our white grapes at Santa Tresa. Rina Ianca was their first foray into white winemaking on the estate; they grow the traditional Grillo and the French grape variety, Viognier, a grape rarely grown in Sicily. They find the two grape varieties complement each other perfectly, resulting in a fragrant, well-balanced wine. The Viognier lifts the Grillo a little, also adding some backbone and complexity. The harmony between the two grapes is reflected in the beautiful balance of this unique wine. At Santa Tresa they respect and encourage nature which in return allows them to prod a great wine that really is more than just organic, it's also unique! Blend of Grillo and Viognier Organic grapes. IT MAY CONTAIN SULPHITES. Abv 13.5%. Ideal with: a great aperitif, perfect with seafood or white fish.